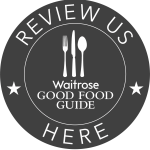 If you are looking for somewhere to experience some lunchtime fine dining in Sussex, look no further! 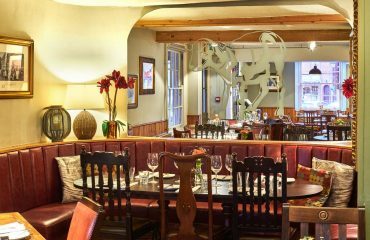 Fine dining doesn’t have to be exclusive to evening meals, at The Lamb we believe that a little lunchtime luxury is well deserved sometimes. 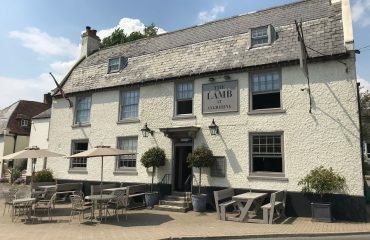 Whether a business lunch, an overdue catch up with friends or a romantic liaison, The Lamb offers its full A La Carte menu at lunchtimes, alongside a lighter lunch menu. 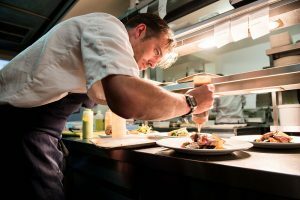 Our talented head chef Richard is always hard at work crafting fresh and tasty menu items, meaning The Lamb’s reputation for fine dining in Sussex has grown rapidly. For example, why not starting your Lamb experience off with a delicious dish of home smoked salmon, white crab mayonnaise, lemon balm and beetroot. 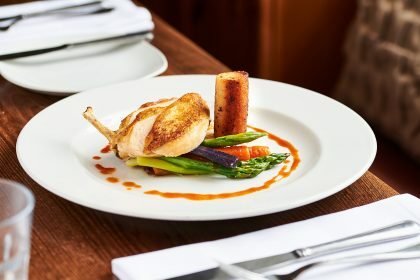 One of our menu highlights is the roast breast and braised leg of Guinea Fowl with shallot, fondant potato and jus, but there are plenty to choose from with dishes to satisfy all tastes. Of course you may not want a huge meal at lunch time, but this doesn’t mean you won’t experience fine dining – our lunch menu includes a wonderful set lunch with elegant dishes at just £15 for two courses or £19 for three. Sandwiches and light bites are also available. 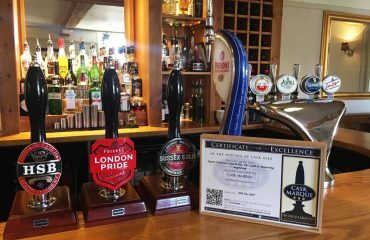 The Lamb has achieved the Cask Marque!